Today is my 2 beautiful Babies, L & Z's BIRTHDAYS! 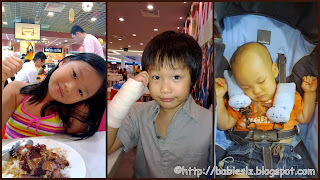 I had planned many programmes for them (places that they would love to go) but unfortunately things didn't turn out the way it should be... Z fractured his thumb and I had to change plans. Z can't get wet nor can he be under the sun for too long, his hand (with cast) will be itchy. In the morning, L went for swimming lesson and I spent some times with my boys. When LZdaddy & L came home, we rushed to the mall for a quick lunch at the food court. I thought they would grumbled about having lunch at the food court on their birthdays but they did not. Looks like my babies are more matured than I thought. They were happy to eat their favourite char siew rice & chicken rice. Beanie feel asleep while we were having lunch and he slept again halfway through the movie. Oh! This is Beanie's very FIRST MOVIE! I was praying so hard that he will be well behaved throughout. He did except for that few mins before he fell asleep, I brought him out for a while and nurse him to sleep after we went back to seat. 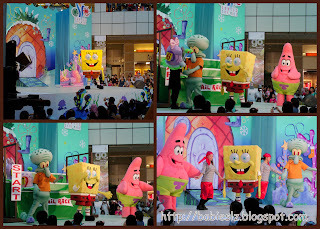 Then we met our friends to watch the SpongeBob Show together at Suntec. 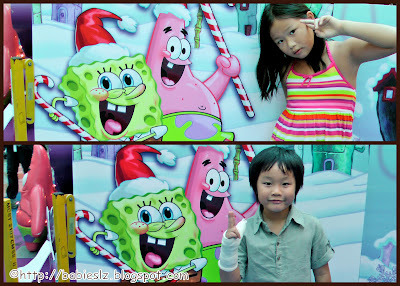 Both of them are crazy over SpongeBob & his friends! 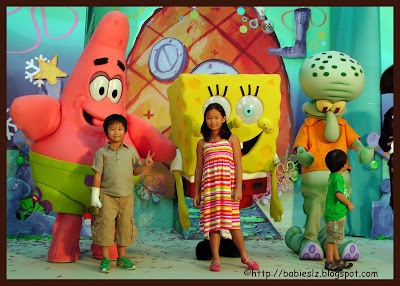 Thanks to my friend, L & Z were able to take pictures with SpongeBob & his friends. After the show, we shop for a while before having dinner. L wanted to eat western food and Z wanted noodles. Aiyo! How? How to split ourselves into 2? 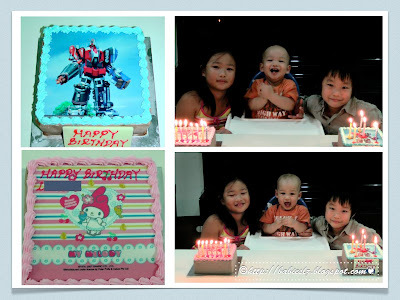 When you have 2 kids having birthdays on the same day, you would try to please them right? Thank goodness there are a stretch of restaurants upstairs, we were seated at the Vietnamese restaurant and they allowed us to order from another restaurant too. 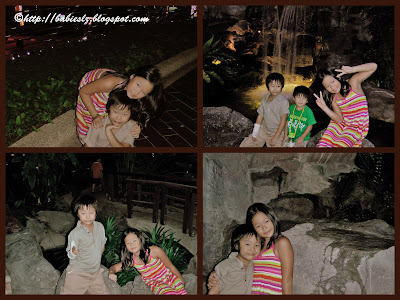 After dinner, we went to the Singapore Flyer. We were surprised that it was so crowded! 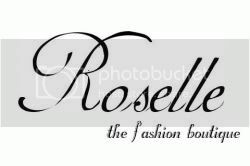 We found out there were quite a few of the capsules were booked and worst was there were a long queue... We had to disappoint LZ.... Of coz they were disappointed, especially my princess. It was such a long queue and getting late too. But being happy-go-lucky kids, they get over it very soon and were running around. 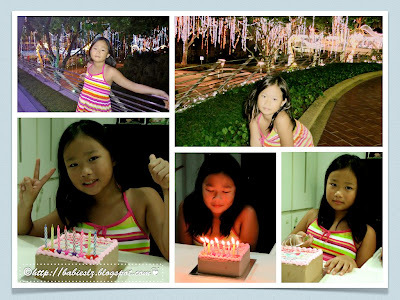 Their birthday celebration was not over yet! How can we not have birthday cakes for them right? We went home for the cakes & their presents. L was rather tired by then... She is so used to sleeping early... She brightened up when she sees the cake. Z was in the mood to pose for me today! My Beanie is more excited than his siblings! 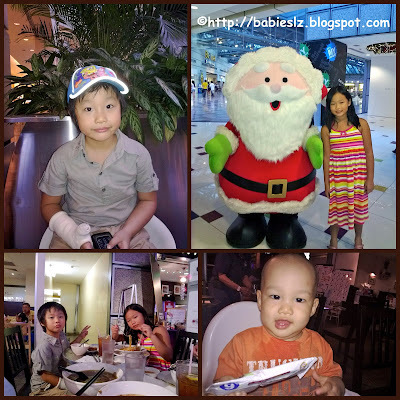 Though we didn't go for the Singapore Flyer or places they want to go (before Z's injury), it turned out well. They were very happy with what I planned for them. Bet the plans that mummy arranged for them must have made their DAY! Btw, poor boy ....really gotta take good care of his bone now *sob* !! 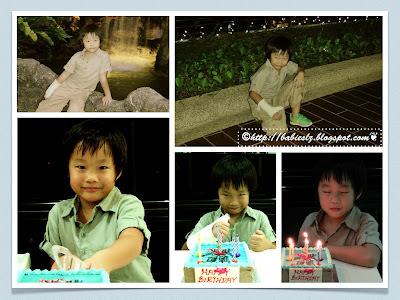 fruitful birthday celebration although a hiccup there.. Happy Birthday to L and Z! I could have sworn L has grown prettier by leaps and bounds as the months zooms by, and she already was a darling to begin with !! Happy Belated Birthday to L and Z !